Today we went to a city museum in St. Louis. First of all, it’s made out of an old building and recycled materials–like old pieces of smooth glass or non-sharp metal, sounds fun right? But it was actually one of the most fun places I have ever been to in my life! The indoor stuff was really cool. There were cement caves like a maze in the ground. There was also a huge wooden tree house like the caves, but in the air. Then we saw a funny magic show. But outside was the biggest and most recycled yet! You could climb around in the sky in old planes, towers and machinery, with walk/crawl ways between it all. There was also a big ball arena that got pretty wild. But the roof of the building was definitely the best. There was a Ferris wheel and some slides (not the little ones either) and a pond you could skip across on rocks–my foot fell in! There was even a bus that you could go in that hung over the side of the building! But the best part of the whole museum was the 40-foot slide. 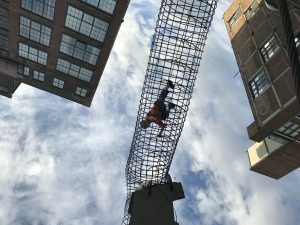 First, you had to climb up to the giant metal praying mantis, then you slid all the way down, you even went underground a little! 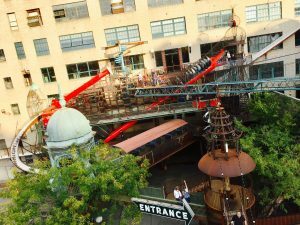 The city museum was definitely the best part of my trip to St. Louis. To see the video my dad took of our time at the City Museum, click here. 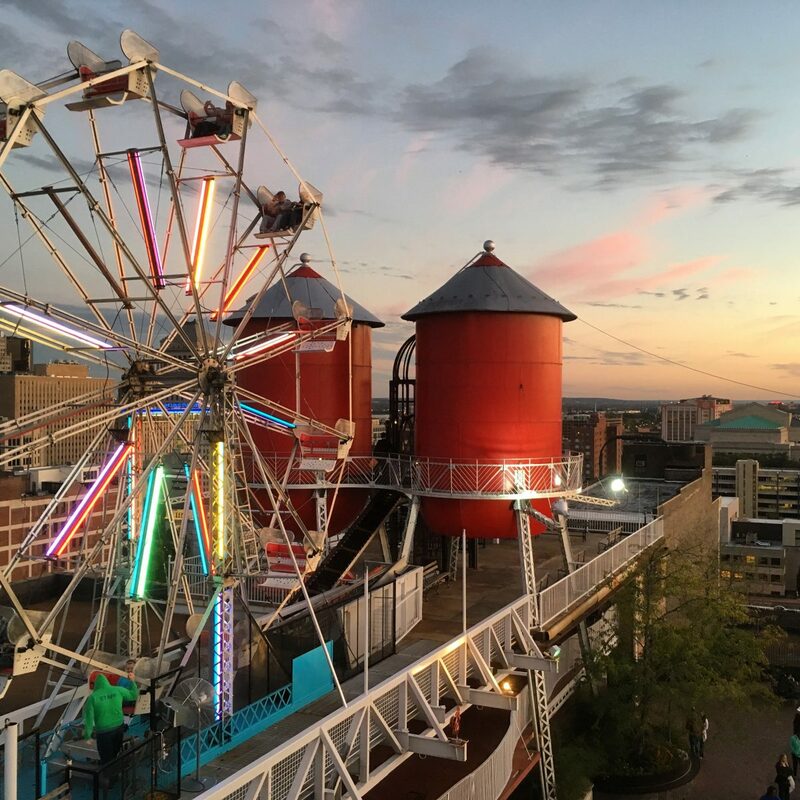 To read my mom’s perspective of the City Museum, click here. To read my sister’s thoughts, click here.